writes Dalrock (echoing Stephen Baskerville). We replaced a patchwork of bastardy laws with a declaration that legitimacy doesn’t matter. Around the same time, we ushered in no fault divorce with very strong bias towards mother custody, while leaving in place the punitive practices of child support and alimony. Suddenly child support and alimony went from necessary evil to an open bribe available to any woman who was willing to betray her husband and children. Now we not only promise a woman cash and prizes if she will agree to betray her family, but we have created a presumption of guilt on the part of the very husband she sells out. As Lydia McGrew explains here it is misogyny to not assume that our pandemic of wife initiated divorce is proof that the men must have had it coming. This assumption that the sin of divorce must be justified is combining with the lure of the financial reward to sin and snaring very large numbers of women. Where Christians should be defending marriage and discouraging sin, most are enthusiastic supporters of child support and stand forever ready to offer justifications for women to divorce their husbands, however flimsy. However, remaining silent about the evil of child support and alimony and encouraging frivolous divorce is not kind to women and children; it is cruelty. In our current rush to find some fault, any fault, by the husband to justify the divorcing wife we aren’t being honest that the standing offer of a cash reward for ending her marriage can’t help but cloud her judgment. 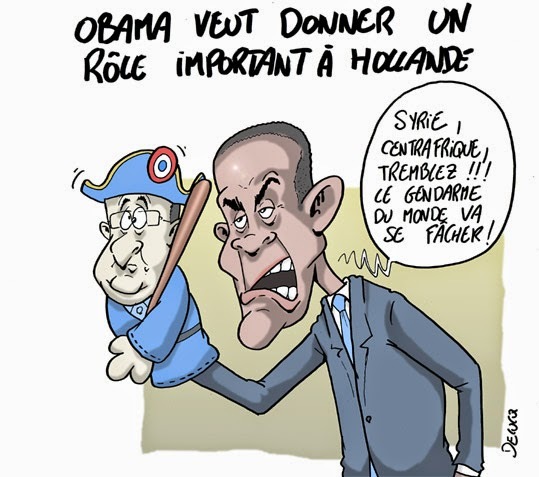 • Barack Obama: Tremble, Syria! Shake in your boots, Central Africa! The world's policeman is about to get mad! … Leslie Palmer Cruise Jr. … still remembers being squashed between other paratroopers seated on pan seats as the plane left England's Cottesmore Airdrome. He was weighed down with probably 100 pounds of gear, including an M-1 rifle that was carried in three pieces, 30-caliber rifle ammo, a first-aid pack, grenade, K-rations and his New Testament in his left pocket, over his heart.